We are occupied with a lot of things in our lives. Family, work, and so many other things account a lot more than most of us ever imagined. In such cases, even savings of a few hours can account for a lot, and speaking pictures bring that change in our lives. Images, not capturing, but uploading is a time bandit. It robs us of the time that we would otherwise use for some other important chores. While we upload the pictures, we constantly go back and forth to fix typos and all. That doesn’t work very well for most of us. We are marred with a guilty feeling for wasting time thinking of captions or rewriting them before an upload, but what if we didn’t have to write it? Well in such cases you could argue that the recipient will not get the message, but that isn’t quite the case with speaking images. 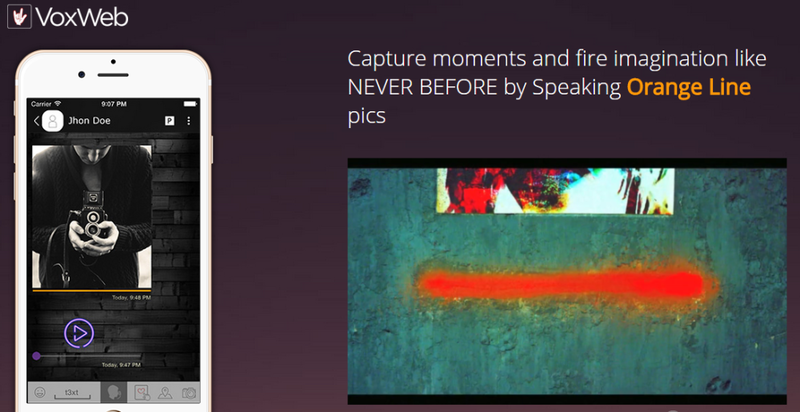 Speaking images let you capture the caption with the image. Time is the most important commodity in human lives, and productive time is, even more, important. For instance, the hour that you spend on captioning can be instead spent for adding more loving memories with your friends, sweetheart, kids, parents etc. or, you can read new stuff and improve the quality of your life. That is very crucial because even an hour of saving per week can get you 52 extra hours per year. And most of us spend a lot more time on captioning than 1 hour a week. Good things are expensive, but the best ones are free. The same holds good for speaking pictures. Thanks to the attitude of Voxweb’s founders, we have this incredible tool for capturing speaking pictures for free of cost. There are no fees for using it, nor any cap for the number of images you can take. It is powerful yet a zero cost utility. Additionally, there is a free social media platform called life where one can find a lot of orange lined images (speaking pictures). Saving time accounts for paramount savings in human life. Our resources are very limited and therefore, it is crucial to make sure that we utilize our limited resources well, and time is one of them.